Centromere protein F antibody recognizes centromere protein F, also known as CENP-F kinetochore protein, CENPF, hcp-1, or 350/400 kDa (mitosin). 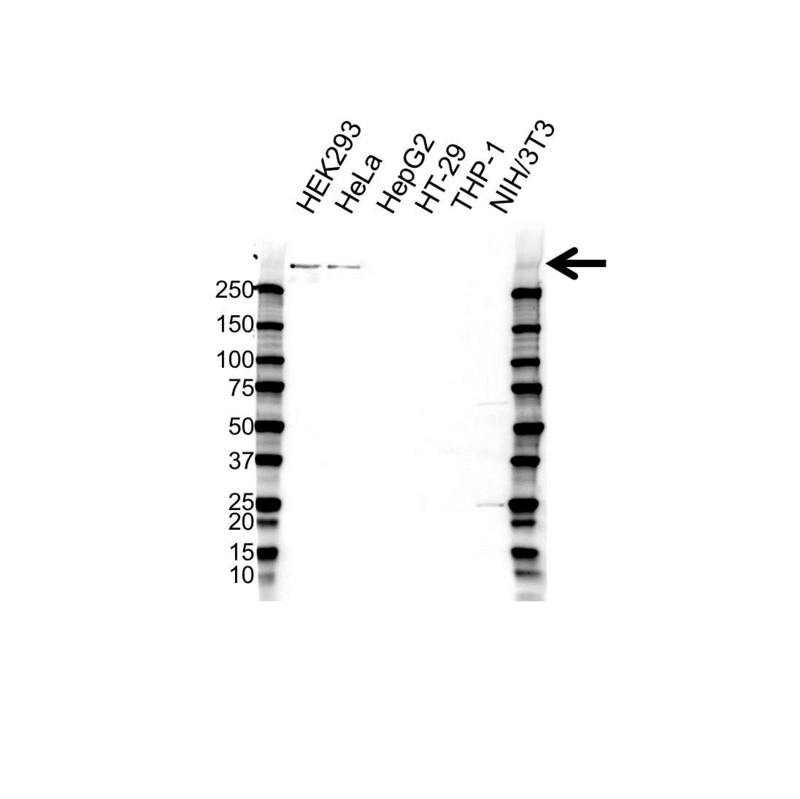 Rabbit anti Human centromere protein F antibody recognizes centromere protein F, also known as CENP-F kinetochore protein, cell-cycle-dependent 350K nuclear protein, CENPF, hcp-1 and centromere protein F, 350/400 kDa (mitosin). CENPF encodes a protein that associates with the centromere-kinetochore complex. The protein is a component of the nuclear matrix during the G2 phase of interphase. It localizes to the spindle midzone and the intracellular bridge in late anaphase and telophase, respectively, and is thought to be subsequently degraded. The localization of this protein suggests that it may play a role in chromosome segregation during mitotis. It is thought to form either a homodimer or heterodimer. Autoantibodies against this protein have been found in patients with cancer or graft versus host disease (provided by RefSeq, Jul 2008). Rabbit anti Human centromere protein F antibody detects a band of 350 kDa. The antibody has been extensively validated for western blotting using whole cell lysates.